I get 8-10 inquiries per week from people needing start-up money. People want to know how to borrow from the bank, get venture capital or grant funding, or how to launch a Kickstarter campaign. And yes, capital is always difficult to find – especially with businesses that many of us are starting that tend to use service, information or technology. So, does that mean it’s impossible to launch a great idea? Absolutely not!! 26% did not require any money at all! This shows us that 69% of all new businesses need less than $10,000 to get started. 70% of the people on the street say they would like to start their own business. Why don’t they? I once worked with a gentleman who wanted to have his own antique business but had no money. We were able to get an option on a lease for a warehouse with no money in advance. He then divided the space into 74 spaces which he leased to vendors, collecting first and last month’s rent. With that money in hand, he finalized the lease, did $20,000 in improvements, kept 3 spaces for his own merchandise, collected 10% commission on everyone’s sales and launched himself into a very positive cash flow from day one. A young couple desperately wanted to open a coffee house. The “experts” told them they had to have between $180,000 and $220,000. I helped them find a location, buy used chairs and tables, create appealing menus, obtain a great looking neon sign, and open to immediate success for less than $5,000. Another guy bought an orange grove, using the existing oranges on the trees as his down payment. Another purchased an old estate house, contracting to sell the antique furniture as his down payment. Several years ago I bought a house on a Saturday morning, gave the owner $3000, took over the loan, did some cosmetic improvements, put it back on the market and sold it for a $21,000 profit. The stories coming out of the 48 Days Eagles community are endless. Aaron Kerr wrote a Kindle book (zero cost) and earned $29,000 in five months. Andy Traub wrote his family out of debt with his little book Early to Rise. In January of last year I started a new business. I put $1000 into an account for initial expenses. 30 days later I took my $1000 back out and watched that business net over $150,000 in 2014 with no more money being put in. Many of the best ideas today are not capital intensive. They don’t require buildings, employees, and inventory. Fear of failure is a larger obstacle than not having any money. 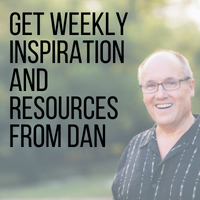 My encouragement – get creative about starting with the money you have. As soon as you bring in outside money you start to lose control of “your” business. Grow with profits being plowed back in – not with other people’s money. If you want to see more ideas on starting with nothing check out our 48 Low Or No Cost Business Ideas. No money? Start your own business…..